While you’re working hard to attract more website visitors through content marketing, linkbuilding, organic SEO or Adwords, it could be that your website is undermining your potential successes. We see this often - you have a beautiful websites with a good user experience: however, technical issues and imperfections in the background are undermining your efforts to increase visitors to your site. 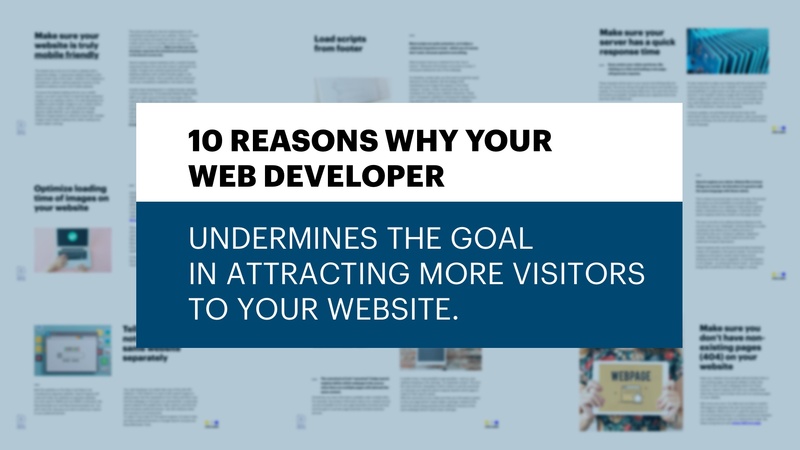 Learn more how to implement the above actions and get insight into the other five tips in our new Tip Sheet: "10 Reasons Why Your Web Developer Undermines the Goal of Attracting More Visitors to Your Website"